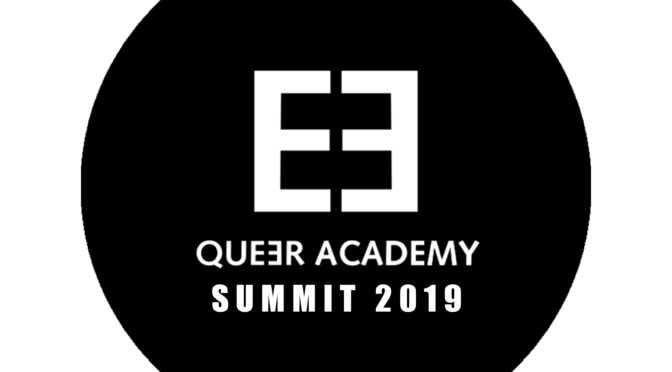 The Queer Academy is an annual convention of international filmmakers and festival organizers in the gay-lesbian-transgender context (2018 figures: 205 persons/institutions) at the Berlinale. The QUEER ACADEMY aims to establish itself as an institute of queer cultural memory. The ACADEMY will become an archive of queer culture and history that binds together queer cultural productions and cooperates with other organizations. Since memories are essential for the identity construction, the QUEER ACADEMY will offer an opportunity for queer people to form and find their identity in queer memory. More than 1000 films with queer context from all continents have been presented at the Berlinale since the foundation of the TEDDY AWARD. The TEDDY AWARD has built an archive where all the movies ever shown in its programme are collected together with supplementary information. It is necessary to save this archive – the world’s largest of its kind. And for this reason, it is essential to digitalize it, to arrange a database and make this archive available for sharing, as well as to expand the bank of supplementary materials with the support of the members of the ACADEMY and the common users. The QUEER ACADEMY acts as a center of queer cultural memory, where artifacts and representations should be stored and become open to the public. The concentration of this queer film historical memory goes far beyond the cinematographic context and reflects the global memory of queer liberation movements of all the participating countries. The digitalisation of these materials does not only mean that they are available for research and for work on (film)history. By digitalisation we can save these materials from disappearance, as they are permanently marginalized by their endangered existence in most of the countries. For the first time, the writing history of the queer population becomes possible and Berlin is now a centre of this national and international process. It is important to utilize the memories stored in the QUEER ACADEMY and therefore keep them alive. Only through active work with the memories we do not let them freeze, be forgotten or be limited to specific aspects.